No one understands coffee quite like Bodum. Hailing from the snow-swept land of Switzerland, Bodum have been designing high quality coffee and tea solutions for over 70 years. Making everything from French presses to travel mugs, they fuse together innovation and functionality effortlessly – crafting products that you’re sure to love. 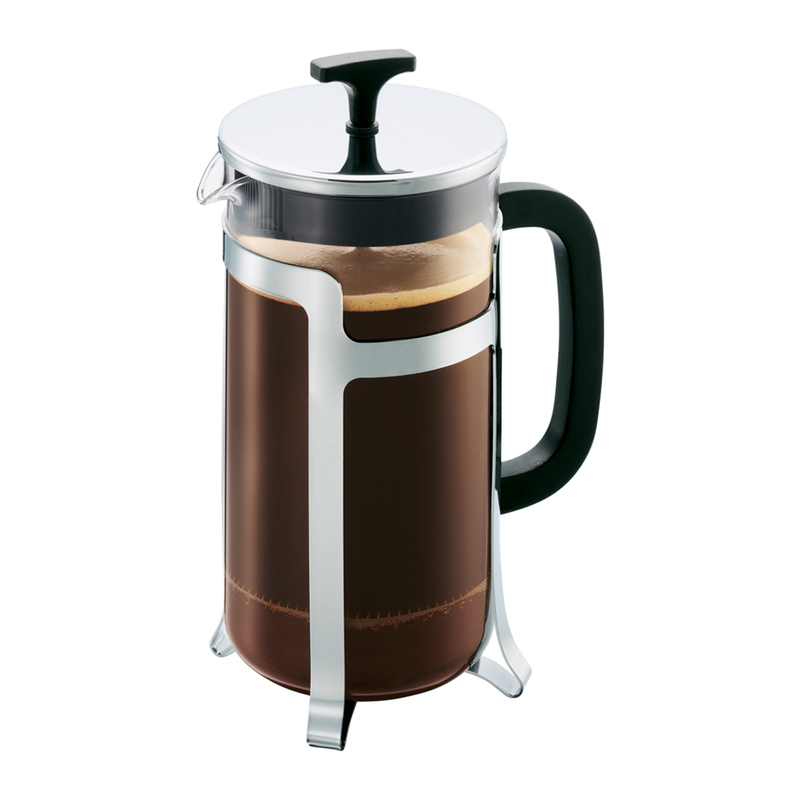 Making a good cup of coffee doesn’t have to be difficult, thanks to Bodum’s Jesper French Press. Quick and easy to use, this press will give you fantastic coffee in no time, with its 1 litre capacity offering you eight cups worth. It’s also got a clean and modern appearance, ensuring that it’ll fit into any kitchen with ease. Don’t miss out on this fantastic item from one of the world’s best producers of coffee makers. Exterior made from stainless steel. Capacity for eight cups of coffee.